Welcome to the home of Brasswürst Bavarian Beer Band! The most exciting and unique Oompah Band to emerge from the North West. 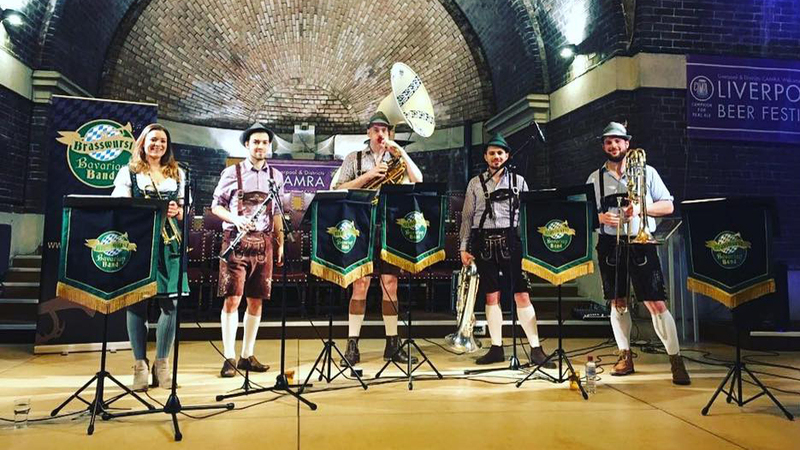 Brasswürst Bavarian Band is an authentic German oompah band, that provides classic German drinking songs mixed with modern songs with an oompah twist. The band consists of five full time professional musicians based in the North West of England. The instrumentation in the band reflects the original line up for a German oompah band; Clarinet, Trumpet, Trombone, Euphonium and Sousaphone. If it is required, the band can also provide and drummer or rhythm section. 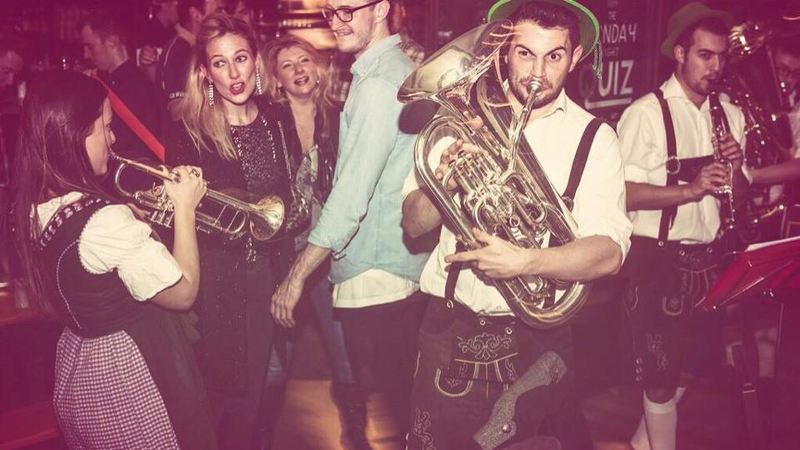 Brasswürst began in 2012 when these five talented musicians graduated from the Royal Northern College of Music in Manchester, and as a group they have had the opportunity to take centre stage all over the country. The band are always up for a laugh and get the crowds dancing, swaying, drinking and singing along to their favourite tunes. The band look forward to sharing this ‘Wunderbar’ experience with you. Prost!